Are you concerned about damp? Can help remove damp from your property. Book an expert survey from only£35 (£42 inc VAT) Our experts will help you decide what action to take. Why Choose Tony Flower and Associates? Rising Damp is simply, water from the ground that enters a structure by capillary action. We have the experience and knowledge to identify and carry out the correct remedial treatment to stop rising damp in your property. Fungal Decay in Building Timbers, Dry rot, Wet rot and beetle infestation can affect buildings of all ages and if decay and/or beetle infestation is discovered it should be identified and if necessary remedial action taken without delay. The most common form of unwanted dampness in buildings is water from the air that forms as condensation. It can sometimes be confused with rising or penetrating damp. Condensation often leads to unwanted mould growth and possible health issues. If you have any concerns, we can help to identify the cause and provide solutions to keep condensation under control. Why not make the most of all of the space your property has to offer with a cellar or basement conversion? A cellar or basement conversion not only converts an often neglected space into a habitable one, but it is environmentally friendly, energy efficient and will add value to your home or business. Please contact us for further information. We are fully certified with the CSSW Structural waterproofing accreditation and work to the british standard BS 8102 2009. Basement and cellar sump pump systems are used to control and remove unwanted water. We have successfully installed systems all around East Anglia and would be happy to assist with any renovation projects. Please contact us for further information. After damp proofing and/or tanking, hacking off and replastering will often be required. This is an important part of the damp proofing process and must be carried out correctly as, if not, the success of the project can be jeopardised. Mineral salt contamination is a particular problem and specific replastering specifications will be necessary in order to combat this problem. We are always happy to provide advice and/or estimates of cost of the necessary works. We can offer a dry decorative wall surface in as little as 1 week from starting the project. With every survey report, we will provide competitive estimates of the cost of the work which we can carry out. We only ever use good quality materials and we never ever cut corners. Our installers are fully-trained and have years of experience in the industry. We do not claim or try to be the cheapest in the market but we will always carry out a good job at a fair price. Unless otherwise stated in our survey report, all our damp proof courses and timber treatments will be covered by our 20 year Certificate of Warranty. Below-ground ‘tanking’ or structural waterproofing will be covered for a period of 10 years. 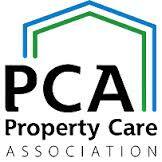 As members of the Property Care Association (PCA) we are able to offer Guarantee Protection Insurance (GPI) through the Guarantee Protection Trust (GPT). This insurance will cover you for a period of 10 years in the unlikely event of Tony Flower & Associates being unable to honour their obligations in respect to a claim under the Certificate of Warranty. A comprehensive survey report will be sent to every client for whom we carry out a damp and/or timber survey. This will include an individual assessment of the problems in the property together with plans and/or illustrations/photographs where appropriate. We will give written estimates of the cost of all parts of the necessary treatment which we are able to carry out and written advice on other works which are required in order to ensure a successful project. Unless otherwise stated in our survey report, all our damp proof courses and timber treatments will be covered by our 20 year Certificate of Warranty. Below-ground ‘tanking’ or structural waterproofing will be covered for a period of 10 years. As members of the Property Care Association (PCA) we are able to offer Guarantee Protection Insurance (GPI) through the Guarantee Protection Trust (GPT). I had problems with dampness in my kitchen wall. On contacting Tony Flower and Associates, David visited my home within a days and promptly diagnosed the problem and the best way to cure it. Within days his recommendations had been carried out. The men who carried out the work were very polite and tidied away afterwards. I would recommend this firm to anyone. I was recommended by a friend to Tony Flower Associates Ltd and they proved every bit of that recommendation.From the start when meeting David Woodhouse to the completion of the job all was carried out very professionally. To removing plaster off the walls, injecting damp course, re-plastering, re-renewing skirting boards and then painting over the new plaster, creating a 'French Drain' around one side of my house all done by a polite and professional friendly team. I would highly recommend this Company. Thank you David and your team.